Dessert grilled cheese sandwiches can be awesome. Wait. Dessert grilled cheese sandwiches are awesome. 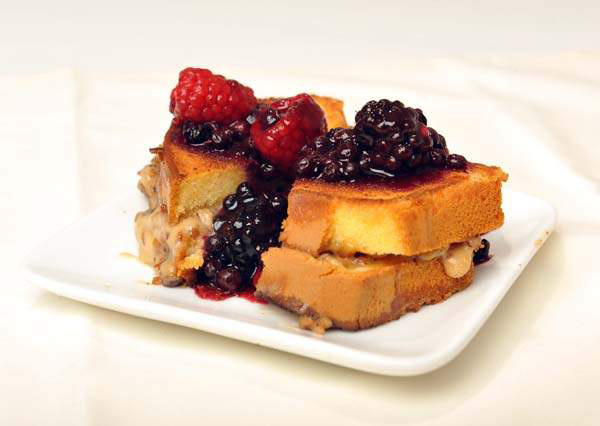 However, when making a dessert grilled cheese sandwich, I never really thought outside the box. I always assumed I needed bread. I now know that is not true. 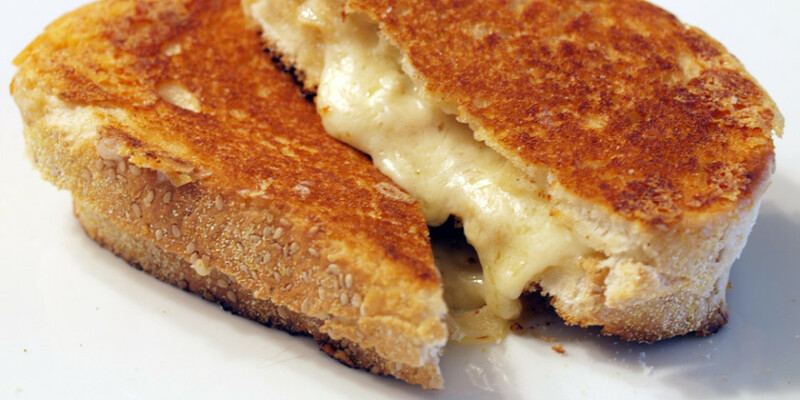 In the case of this yummy looking grilled cheese, pound cake (or Sara Lee) was used as the bread. Ingenious in my opinion. 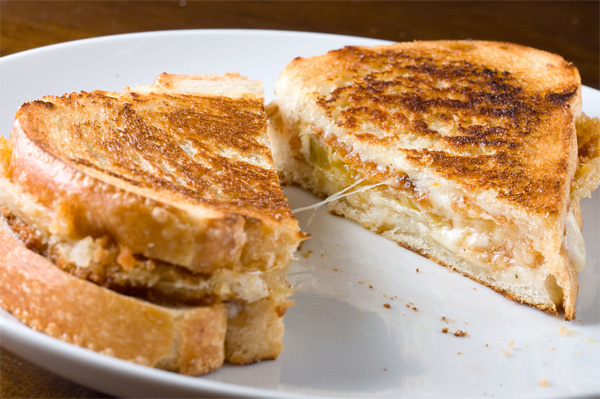 Why not go all out when making a truly delicious grilled cheese? In case you are a novice grilled cheese maker, Laura Werlin “reveals five ways to fumble this deceptively simple sandwich” and instead, achieve perfection. Add butter to the pan. As a grilled cheese professional, I must agree with [food writer Josh] Ozersky, no restaurant can compete with mom (nor grandma). 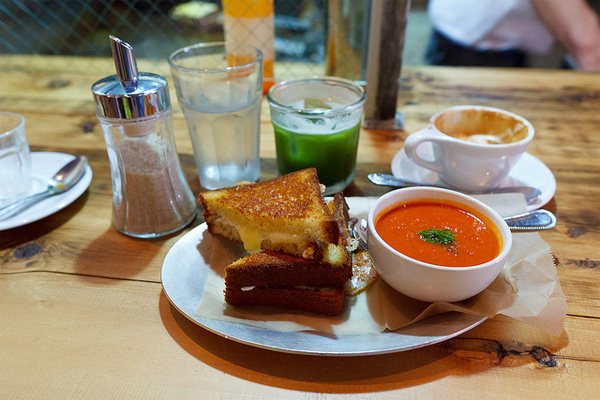 The excitement and anticipation when mom made you a grilled cheese on a rainy day; from pulling off the plastic on the Kraft single, to slicing and serving that buttery, toasty treat; is an experience that can never be replicated by a restaurant or food truck, no matter how fancy the cheese or nostalgic the atmosphere. Even more impressive is that today’s short-order grilled cheese cooks are toasting, frying, pressing, and/or grilling these epic sandos to perfection. So I’m sorry Ozersky, but you’re generalization is off — there are folks here in the Bay Area that do these grilled cheeses right. 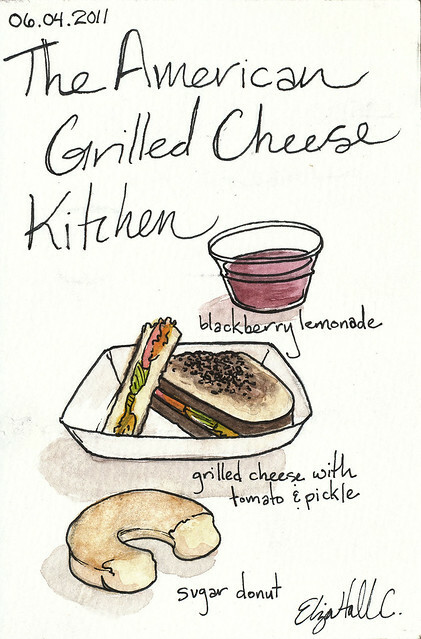 How do you prefer to cook your grilled cheese sandwiches? Classic? Press? Convection? I typically use the classic method (with butter on the bread) but when the bread dictates (ciabatta), I use the oven. It all depends on what you are going for in the final product. I have a confession to make: I have never had a fried green tomato, but I imagine it would be delicious! Des of Life Ambrosia puts that thought into practice with this yummy fried green tomato grilled cheese. 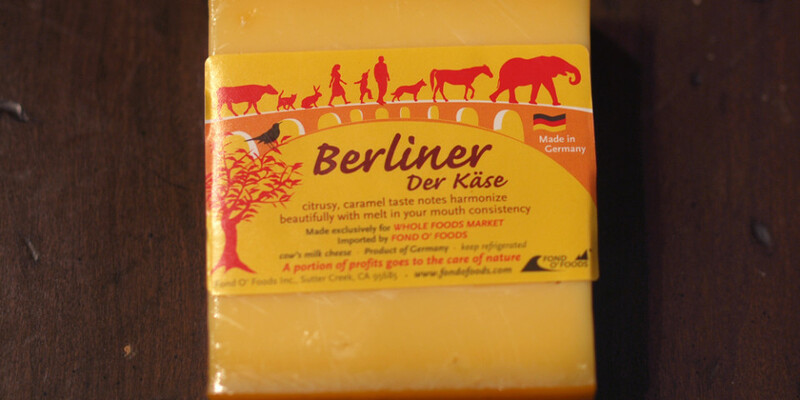 I have another confession to make: I have never really had raw milk cheese and do not really know much regarding the battle for it. With that being said, I am all for choice and the way the US currently legislates raw milk cheese (must be aged for 60 days +). It seems to make sense to me, but again, I am just beginning to be educated on this contentious issue. This article, from culture, highlights the different raw milk laws that are in place around the world. Slow Food has been fighting for the rights of consumers to buy raw milk and the rights of cheesemakers to make cheese from raw milk for almost two decades, and its biennial event, Cheese, has long been a forum for publicizing the issue. A new Slow Food campaign site for raw milk was launched at Cheese 2011, and on Sunday September 17 an international panel of speakers talked about raw milk in their home countries.